Readers come to the topic of leadership development with multiple interests—intellectual, professional, and personal—and with curiosity about how to apply concepts and tools to themselves and to support others. 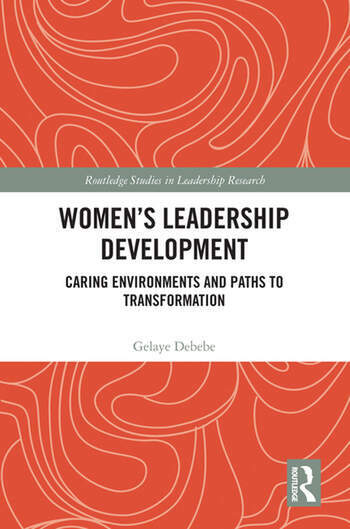 Women’s Leadership Development: Caring Environments and Paths to Transformation addresses these concerns. The book offers an interdisciplinary framework of leadership effectiveness and brings this framework to life with detailed and illuminating descriptions of four leadership transformations facilitated by care-practices used in a specific leader development program. The book will be of interest to academics who teach leadership or conduct leadership research, HR professionals who are seeking fresh ideas for how to maximize the impact of leadership training for women, and anyone with a passion for personal growth and development. Gelaye Debebe is an Associate Professor of Organizational Sciences at the George Washington University. She is also a Faculty Affiliate at the Center for Gender in Organizations at Simmons Graduate School of Management and the George Washington University Women’s Studies Program. Among others, her work has appeared in Research in Organizational Behavior, Journal of Management Education, and Human Resources Development International. She is author of Navigating Power: Cross-cultural Competence in Navajoland. She also guest co-edited a special issue of the Journal of Management Education on women’s leadership programs.